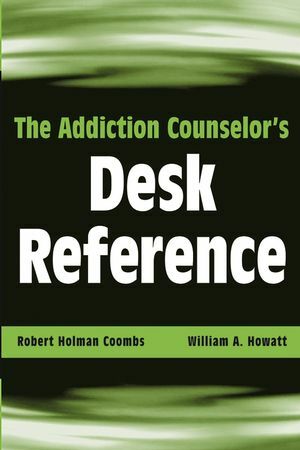 The Addiction Counselor's Desk Reference is a comprehensive compilation of information about the full spectrum of addictive disorders, their consequences, and treatment. 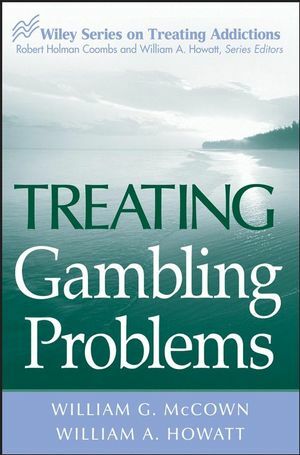 This unique text includes detailed definitions and practical illustrations of addiction-related terminology, addictive disorders and behaviors, descriptions of treatment models and techniques, as well as lists of relevant websites, government resources, and treatment centers. Addiction professionals will find this information-packed guide to be an invaluable practice tool. ROBERT HOLMAN COOMBS, PhD, is Professor of Biobehavioral Sciences at UCLA School of Medicine, a Certified Addiction Specialist (CAS), and a Fellow of the American Association for the Advancement of Science. He serves on the International Advisory Committee of the American Academy of Healthcare Providers in the Addictive Disorders and is author or editor of more than 200 publications, including eighteen books. WILLIAM A. HOWATT, PhD, EdD, is a faculty member of the Nova Scotia Community College School of Human Services. An Internationally Certified Addiction Specialist (ICAS), he recently completed a postdoctoral fellowship at the UCLA School of Medicine. Author of numerous publications, he is currently coediting (with Robert Holman Coombs) the Wiley Series on Treating Addictions.